Jcrew hired a 4 year old. Indeed a toddler, but little Miss Mayhem of Fashion by Mayhem will go head to head with any DIY connoisseur, so you know what, i'd hire her too, Making her debut on Instagram and later a blog with the grammatical help of her mama bear. Mayhem and the team at Jcrew are producing a 22 piece capsule collection for Crewcuts, the children's sector of the label. 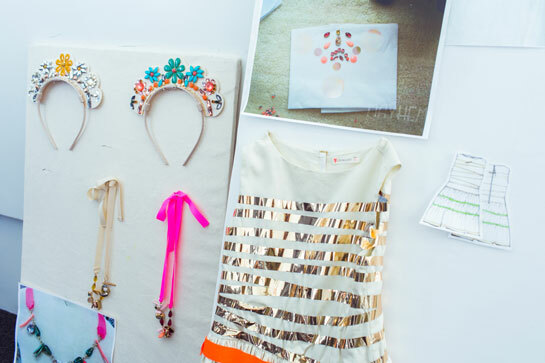 With the help of Jenna Lyons and Mayhem's intricate bedazzling technique, we expect something pretty spectacular. The legend and firecracker that is Naomi Campbell has recently been coined the new face of lingerie connosier, Agent Provocateur. Just in time for holiday wish lists for the girl whom appreciates lace with sass alike. The capsule collection features separates and combo's made with color, lace and leather details, and lot's of space for imagination. Best known for her supermodel status and fiery attitude off the runway, those million dollar legs were the perfect fit for a fresh take on this brand.